This blog is intended for DX-listeners interested in North, Central (including the Caribbean Islands) and South American radio stations. My name is Jan-Erik Österholm (66). I have been an active DX-er since 1963 and since 1968 my DX-focus has almost entirely been on Central and South American SW and AM (since year 1996 almost entirely AM) stations. 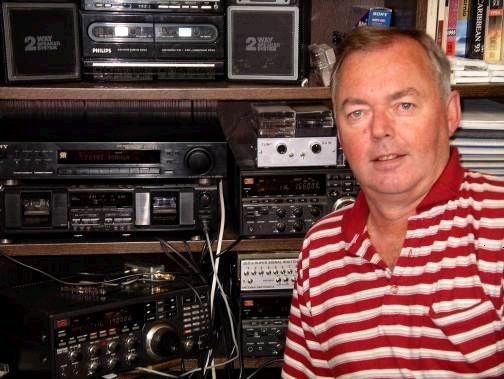 Close behind the above mentioned LA-DX my focus of interest has been on North American AM stations.During my DX-career, now spanning almost 50 years, I have received more than 3500 verifications from radio stations from all around the world. Of these verifications, close to 3000 come from the Americas. An intension of this blog is, as time progresses, to share with you my experiences in DX-ing towards the Americas including both old and fresh stuff. I know that you understand that putting up an interesting blog is an iterative process which will unfold as the time passes.I hope you’ll enjoy and that you show patience. Comments are most welcome.I live in the City of Borgå (Porvoo in Finnish) some 50 km east of Finland’s Capital City Helsinki. Borgå is the second oldest city in Finland founded 1346 AC with around 50.000 inhabitants situated by the Gulf of Finland. My family consists of my wife Heidi and our two grown-up daughters Anna, (Ph.D in Chemistry), married to Antri, and Lotta (MSc in Political Sciences) married to Mikko . Heidi has been the perfect companion in everything we have gone through since we met in 1974. She is almost as an experienced DX-er as myself despite that she has only been following my activities on the bands from a distance but she knows about the A- and K-indices, E-skips etc. and she has a relatively sharp ear when helping me with some tricky identifications.